Delivery shall be deemed to have been made by You to Beardilizer Official Store five (5) days after the date sent. Copyright © 2013-2015 Beardilizer Official Store. All rights reserved. As a user, you are authorized only to view, copy, print, and distribute documents on this Web site so long as (1) the document is used for informational purposes only, and (2) any copy of the document (or portion thereof) includes the following copyright notice: Copyright © 2013-2015 Beardilizer Official Store. All rights reserved. All brand, product, service, and process names appearing on this Web site, Including Beardilizer© , BeardStrong© and HouseOfMane©, are trademarks of their respective holders. Reference to or use of a product, service, or process does not imply recommendation, approval, affiliation, or sponsorship of that product, service, or process by Beardilizer Official Store. Nothing contained herein shall be construed as conferring by implication, estoppel, or otherwise any license or right under any patent, copyright, trademark, or other intellectual property right of Beardilizer Official Store or any third party, except as expressly granted herein. This site may contain other proprietary notices and copyright information, the terms of which must be observed and followed. Information on this site may contain technical inaccuracies or typographical errors. Information, including product pricing and availability, may be changed or updated without notice. Beardilizer Official Store and its subsidiaries reserve the right to refuse service, terminate accounts, and/or cancel orders in its discretion, including, without limitation, if Beardilizer Official Store believes that customer conduct violates applicable law or is harmful to the interests of Beardilizer Official Store and its subsidiaries. The Site does not provide medical advice, diagnosis or treatment, and the information included on the Site is offered for informational purposes only. Some portions of the Site may allow you to submit questions either to us or to third parties who have agreed to communicate with our users. Although we provide information about our products through the Site,neither our employees nor these third parties are authorized to provide medical or other professional advice through the Site. We also have not confirmed the qualifications of any third party who provides information through the Site, even if that third party lists his or her qualifications. As a result, you should never use the information you obtain on the Site for diagnosis or treatment of any health problem or in place of any medication or other treatment prescribed by a physician or other healthcare provider. The statements on the Site have not been evaluated by the Food and Drug Administration. Our products are not intended to diagnose, treat, cure or prevent any disease. The Site allows you to purchase products or services. The Site is based in the United States. All transactions on this Site will be deemed executed in the United States. To purchase any products or services on the Site, you must (a) be at least eighteen years of age, (b) provide us with valid payment information associated with a credit card or other payment method that you are authorized to use, and (c) authorize us to charge your credit card or other payment method for the price of the products or services that you request, together with any taxes, fees, or shipping charges described on the Site. What information does Beardilizer Official Store collect and how do we use that information? Beardilizer Official Store collects data about your activities that does not personally or directly identify you when you visit our website or the websites and online services where we display advertisements (“Publishers”). This information may include the content you view, the date and time that you view this content, the products you purchase, or your location information associated with your IP address. We use the information we collect to serve you more relevant advertisements. We collect information about where you saw the ads we serve you and what ads you clicked on. Beardilizer Official Store may target ads based on data provided by partners or in combination with the data we collect ourselves. Any data used to serve targeted advertisements is de-identified and is not used to personally or directly identify you. We require third parties, including Publishers, to provide notice and obtain appropriate consent, where required by applicable law. In order to allow Beardilizer Official Store to reach the best inventory online, we work with third party advertising companies (our “Advertising Partners”) to help us recognize you and serve relevant advertisements to you when you visit a website or online service in their network. We also work with Advertising Partners who help us recognize you across different devices in order to show you relevant advertisements. Our Advertising Partners may collect information about your activities on our website and other websites or online services in their networks. We also work with third party companies to assist us with website analytics such as evaluating the use and operation of our website so that we can continue to enhance the website and our services. Beardilizer Official Store uses technologies such as cookies and pixels to keep track of your activities on our website and to serve you more relevant advertisements. A cookie is a small text file that is stored on your device for record-keeping purposes. Session cookies expire when you close your browser. Persistent cookies remain on your device for an extended period of time. We and our third party partners use session cookies and persistent cookies to make it easier for you to navigate and enhance the experience of our site, and to monitor and evaluate our website’s operation and use. We use persistent cookies to keep track of your activities when you visit our website, and to serve you relevant advertisements. Our Advertising Partners also place persistent cookies on your device when you visit our website in order to help us recognize you and serve relevant advertisements to you when you visit their website or online service or websites in their networks. Beardilizer Official Store’s policy is that our Advertising Partners only collect information that does not personally or directly identify you via these cookies and we will cease working with partners found violating this policy. You can remove cookies by following directions provided in your Internet browser’s “help” file. You may also decline our cookies if your browser permits, but doing so may interfere with your use of our website. We believe in giving you control over which ads you see. You may opt out of having your data collected from this browser on this device for the purpose of receiving targeted or retargeted ads from Beardilizer Official Store (whether served by us or on our behalf). You may also opt out of receiving relevant ads from some of our Advertising Partners. If you delete your cookies you will need to opt out again. Further, if you use multiple browsers or devices, you will need to execute this opt out on each browser or device. Our advertising partner is a member in good standing of the Network Advertising Initiative (NAI). If you prefer, you may use the NAI opt out tool. He also complies with the Self-Regulatory Principles for Online Behavioral Advertising as managed by the Digital Advertising Alliance (DAA). You may opt out via the DAA website at http://www.aboutads.info/choices/. He also adheres to the European Interactive Advertising Digital Alliance (EDAA). You may opt out via the Your Online Choices website. Where required by applicable law, we obtain individuals’ consent for storing and receiving information collected via technologies such as cookies and pixels to keep track of your activities on our website, and to serve you more relevant advertisements. Beardilizer Official Store uses the Evidon assurance platform to comply with the cross-industry Self-Regulatory Program for Online Behavioral Advertising as managed by the DAA. 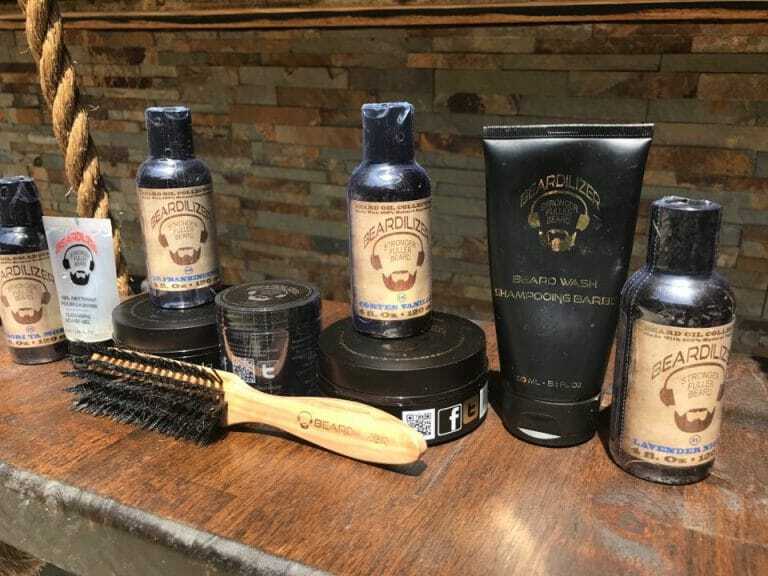 As part of this service, Beardilizer Official Store’ online advertisements and website are sometimes delivered with icons that help consumers understand how their data is being used and provide consumers choice regarding the ads that they receive. • Service providers under contract who help with parts of our business operations, such as fraud prevention, bill collection, marketing, and technology services. We may share your information with service providers who assist us with serving relevant ads to you. We require by contract that our service providers only use your information in connection with the services they perform for us and not for their own benefit. • We may share aggregated non-identifiable information with Publishers or our Advertisers, such as the number of users who visit a Publisher website or the number of users who clicked on a particular advertisement. We encourage you to review the privacy policies of the website publishers that you visit to learn about their data collection practices. Children 18 and under are not eligible to use Beardilizer Official Store services without participation and supervision of a legal parent or guardian. Beardilizer Official Store is not a site meant for children, and we do not provide privacy measures designed to protect children when using the Internet unsupervised. AdRoll also does not knowingly target children under the age of 13 and makes reasonable efforts to ensure that this does not occur across any campaigns it runs on behalf of advertisers or for its own marketing. If you have any questions about this privacy statement, the practices of this site, or your dealings with this site, you can contact DNT@Beardilizer.com or write to us at the address below. At this time, Beardilizer Official Store ships merchandise to locations within the United States and U.S. territories, including Alaska, Hawaii, Puerto Rico, Guam, and the US Virgin Islands. Additionally, Beardilizer Official Store ships merchandise to All over the world. The risk of loss and title for all merchandise ordered on this Web site pass to you when the merchandise is delivered to the shipping carrier. Shipping laws are different in each country. It is your responsibility to check with your Customs office to verify whether the country to which you are shipping permits the shipment of your products. Beardilizer Official Store is not responsible for any direct, indirect, punitive, or consequential damages that arise from improper international shipping practices. The Content included in this Web site has been compiled from a variety of sources and is subject to change without notice as are any products, programs, offerings, or technical information described in this Web site. Beardilizer Official Store makes no representation or warranty whatsoever regarding the completeness, quality, or adequacy of the Web site or Content, or the suitability, functionality, or operation of this Web site or its Content. By using this Web site, you assume the risk that the Content on this Web site may be inaccurate, incomplete, offensive, or may not meet your needs and requirements. Beardilizer Official Store SPECIFICALLY DISCLAIMS ALL WARRANTIES, EXPRESS OR IMPLIED, INCLUDING WITHOUT LIMITATION THE WARRANTIES OF MERCHANTABILITY, FITNESS FOR A PARTICULAR PURPOSE, AND NONINFRINGEMENT WITH RESPECT TO THESE WEB PAGES AND CONTENT. IN NO EVENT WILL Beardilizer Official Store BE LIABLE FOR ANY SPECIAL, INDIRECT, INCIDENTAL, OR CONSEQUENTIAL DAMAGES EVEN IF COMPANY HAS BEEN ADVISED OF THE POSSIBILITY OF SUCH DAMAGES. The information and content on this server is provided “as is” with no warranty of any kind, either express or implied, including but not limited to the implied warranties of merchantability, fitness for a particular purpose, and non-infringement. Any warranty that is provided in connection with any of the products and services described on this Web site is provided by the advertiser or manufacturer only, and not by Beardilizer Official Store. The references and descriptions of products or services within the Web site materials are provided “as is” without any warranty of any kind, either express or implied. Beardilizer Official Store is not liable for any damages, including any consequential damages, of any kind that may result to the user from the use of the materials on this Web site or of any of the products or services described hereon. The descriptions of, and references to, products, services and companies on this Web site are the sole responsibility of the companies providing the information (“advertisers”), and not Beardilizer Official Store. The inclusion of material on this server does not imply any endorsement by Beardilizer Official Store, which makes no warranty of any kind with respect to the subject matter of the server materials advertised. A possibility exists that the server materials could include inaccuracies or errors. Additionally, a possibility exists that unauthorized additions, deletions, and alterations could be made by third parties to the server materials. Although Beardilizer Official Store tries to ensure the integrity and the accurateness of the server materials, it makes no guarantees about their correctness or accuracy. Before relying on any representation made in any of the server materials, check with the advertiser of the product or service to ensure that the information you are relying upon is correct. You may purchase merchandise from this Web site by using any one of the payment options listed in shopping cart. Beardilizer Official Store reserves the right to change its payment procedures at any time without prior notice to you. Although the information on this Web site is accessible worldwide, not all products or services discussed in this Web site are available to all persons or in all geographic locations or jurisdictions. Beardilizer Official Store and the advertisers each reserve the right to limit the provision of their products or services to any person, geographic area, or jurisdiction they so desire and to limit the quantities of any products or services that they provide. Any offer for any product or service made in the materials on this Web site is void where prohibited. GOVERNING LAW: In the event of litigation both parties agree that the Law of the State of business registration of Beardilizer Official Store shall apply and both parties shall consent to the jurisdiction of said State’s courts, or in the event of diversity of citizenship, the United States District Court for the Broward County. Both parties expressly waive a trial by jury. MISCELLANEOUS: The Terms and Conditions constitute the entire agreement between you and Beardilizer Official Store with respect to this Web site. The Terms and Conditions supercede all prior or contemporaneous communications and proposals, whether electronic, oral or written between you and Beardilizer Official Store with respect to this Web site. No modification of the Terms and Conditions shall be effective unless it is authorized by Beardilizer Official Store. If any provision of the Terms and Conditions is found to be contrary to law, then such provision(s) shall be constructed in a manner to closely reflect, as much as possible, the intentions of the parties, with the other provisions remaining in full force and effect.